vive Technologies develops interactive environments to submerge students in the science they are studying. In a world of rapidly evolving scientific concepts, much of the information has become inaccessible and unintelligible. 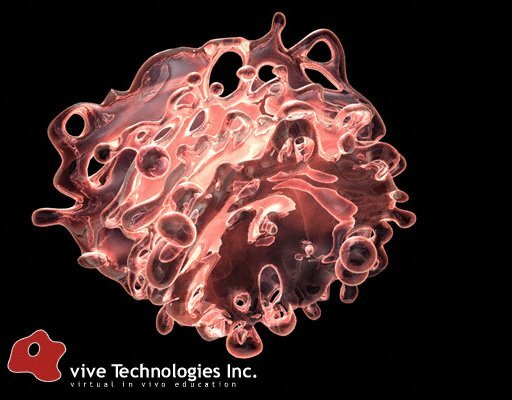 vive Technologies team of scientists, researchers, professors and artists focus on strategies to absorb this information and present it in a meaningful and inspiring manner geared for a specific audience. 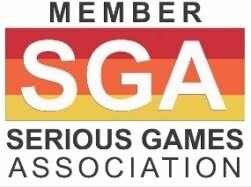 Their teaching and learning tools, based on computer gaming technology, are generated from the most current scientific literature and are designed to teach through exploration & discovery. vive Technologies is committed to providing high quality tools that advances science education across the world. They are proponents of Howard Gardner’s theory of Multiple Intelligences (Gardner, H., Kornhaber et al., 1996) that espouses the need for educational tools that cater to a wide variety of individual learning styles and strengths. Any student population would include learners who primarily process new information through visual representations, others through auditory processing, and still others who need a hands-on experience with new concepts. In fact, less than half of students can acquire new knowledge and skills well through traditional teaching methods. Research into the use of computers and multimedia in education has provided strong justification for further development of the use of technology in the classroom, and in response, the educational infrastructure is rapidly changing. vive Technologies objective is to, through the employment of leading-edge computer gaming technology, produce an interactive curriculum that inspires and empowers learners around the globe to discover the marvels of the natural world. 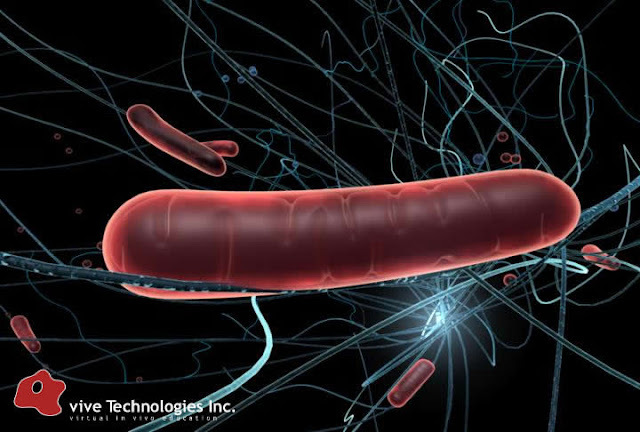 Their initial product software & utilities are being created for cell biology, but future products will branch out into all fields of biology, chemistry, and physics. Cellscape Explorer is an interactive software that takes students inside cells to experience the structures and processes of cell biology. It includes a 3D interactive environment called the Cellscape, and an online learning community. 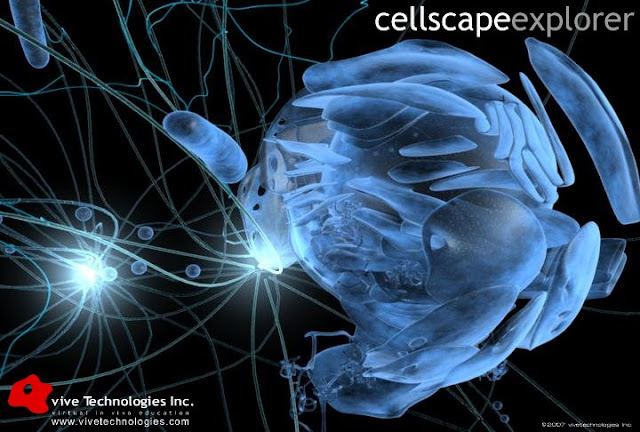 Cellscape Explorer will effectively communicate cell biology using an exciting and empowering environment – from within a fully interactive, virtual cell. Cell biology includes seemingly abstract concepts that are difficult to communicate through traditional teaching practices. By using state-of-the-art computer gaming technology, we are augmenting current teaching practices by replacing the traditional use of textbooks and lectures with the Cellscape Explorer environment, giving users a realistic and detailed experience of the inner workings of the cell. It will allow professors or instructors to guide students through a tour of cellular processes from near-infinite perspectives within the cell. Professors or instructors can customize certain aspects of the lesson they want emphasize during a laboratory session. They will also have the ability to alter certain aspects of the cellular environment such as increasing temperature, changing pH or introducing chemicals. Students can access Cellscape Explorer at any time from outside the classroom via the internet. In addition, students can be tested in the same environment they learned in—through Cellscape Explorer’s customizable testing module. 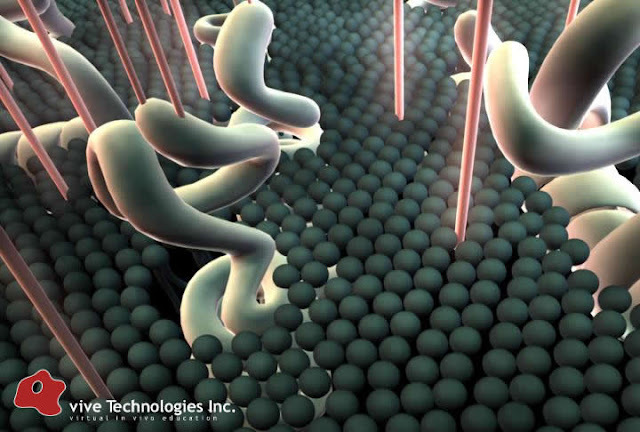 Students will be able to explore cell biology in a whole new way—from within a virtual animated cell, the design of which is based on the most current scientific information. Users will be able to directly interact with cellular processes to see and experience how they function. All students learn differently. Using Cellscape Explorer students have the option to learn though graphics, script and audio narration. Lessons can be paused, replayed or experienced from a completely different perspective. Through upgrades, Cellscape Explorer’s virtual cell and large internet database will be kept up-to-date with the most current scientific information. In addition, Cellscape Explorer supports chat functions with other users and offers access to online supplementary information which can be printed for hardcopy. Biology occurs in three dimensions and in real time; a reality best conveyed through computers, not textbooks. For the past seven years, Dr. Jeremy Friedberg has been teaching cell biology, molecular genetics & physiology using lecture, laboratory exercises, and rudimentary animation. The effectiveness of using 3D-rendered visuals has become increasingly evident as the quality of the animations has progressed. Dr. Friedberg’s passion for increasing the level of understanding in his students has lead to the birth of vive Technologies and the development of Cellscape Explorer. 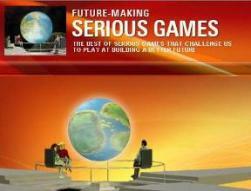 The model for vive Technologies Inc. was conceptualized in the summer of 2002 and became a reality in October of 2003. Currently, vive Technologies is in research and development, using computer gaming technology to create innovative teaching tools for all areas of biology. Dr. Jeremy N. Friedberg, PhD Dr. Friedberg received his honors B.Sc. in genetics from the University of Western Ontario. In the fall of 2003 he completed his Doctorate in molecular genetics and biotechnology from the University of Guelph. In addition to his research, Dr. Friedberg has been extensively involved in scientific education outreach programs, teaching students and the public about genetics & cell biology. Dr. Friedberg taught for 10 years at the University level and continues to fulfill his passion for teaching, through his company vive Technologies Inc., building full feature educational computer games. He also consults on a number of textbooks and major educational exhibits created for the general public.